Just then Jesus met them and said, “Good morning!” They came up, took hold of His feet, and worshiped Him. “Can you play another one?” I asked Lori. We were driving, and she was sharing voice mails she had recovered from an old cell phone. I was surprised by voice of a friend who had recently died. He was a retired mechanic and had done some auto-repair work for me. Mary Ruby Thomas, age 83, of Loretto, passed away Friday, Jan. 4, 2013, at the Loretto Motherhouse Infirmary. Survivors include three daughters, Michelle Rapier and Diane Decker, of Louisville and Mary Ponchio of Miramar, Fla.; three sons, Keith Thomas of Crittenden, Kevin Thomas of Lexington and Alan Thomas of Lawrenceburg. Mass of Christian Burial will be held at 11:30 a.m. (today) Wednesday, Jan. 9, 2013 at Saint Francis of Assisi Catholic Church followed by interment in the church cemetery. Rev. R. Joseph Hemmerle will be the celebrant. George F. “PaPa” Bechtel, 91, husband of Naomi “Nannie” Ketchem Bechtel, died Wednesday, Dec. 26, 2012 at the James B. Haggin Memorial Hospital. Born Nov. 21, 1921 in Daviess County, Ind., he was the son of the late Elmer Warren and Nora Martin Bechtel. Survivors, besides his wife, include three sons, Jim Bechtel, Gary Bechtel and Tom Bechtel, all of Harrodsburg; and one daughter, Sharon Gritton of Harrodsburg. Daniel Palmer “D.P.”, “Pete” Cheatham Jr., age 97, of Louisville, formerly of Springfield, passed away peacefully on Saturday, Dec. 29, 2012 at the Jefferson Place with his family by his side. He was born in Washington County on June 22, 1915 to the late Daniel P. and Martha Kays Cheatham. Hollie Lee Lewis, age 80, of Willisburg, passed away at 12:16 p.m., Friday, Dec. 28, 2012 at Spring View Hospital in Lebanon. A native of Washington County, he was born on June 14, 1932 to the late Ruel and Priscilla Milburn Lewis. He was a member of the Anchor Of Hope Church and a retired employee of The Logan Company of Louisville and a farmer. Preceding him in death were a son, Roger Dale Lewis on Dec. 7, 2001; a sister, Nancy Benham; and five brothers, Paul, Lawrence, George, John and Jim Bill Lewis. Arnolia Skeans Baker, age 86, formerly of Baker Ridge Road, Willisburg, passed away at 3:44 p.m., Tuesday, January 1, 2013 at the Spring View Hospital in Lebanon. A native of Washington County, she was born on Dec. 17, 1926 to the late Henry Roy and Lovey Arnold Skeans. She was a member of the Mt. Zion Church of Christ, a 1944 graduate of Mackville High School and a homemaker. Preceding her in death was her husband, Norvie Baker on Jan. 29, 2000. Shirley Ann Ryan Smith, age 83, formerly of Old E-town Rd., Springfield, died at 5:03 a.m. Sunday, Jan. 6, 2013 at Spring View Hospital in Lebanon. She had been a resident of the Village of Lebanon for the last five years. Vicky Lynn Lewis Shouse, 50, of Monticello, formerly of Anderson County, died Saturday, Dec. 29, 2012 at Spring View Hospital in Lebanon. She is the daughter of Betty Barnett Rakes of Willisburg, and the late Clayton Lewis. She is survived by two sons, Joshua Lee Shouse of Willisburg and Justin Lynn Shouse of Springfield. Services were held at 7 p.m. Monday, Dec. 31 at Ritchie & Peach Funeral Home with Bro. Al Peach officiating. Cremation was chosen following services. Stella Maye Coulter, age 73, of Coulter Lane, Willisburg, passed away at 8:38 a.m., Friday, Dec. 28, 2012 at the University of Louisville Hospital. A native of Washington County, she was born on May 15, 1939 to the late Revel and Ruby Lewis Coulter. She was a member of the Fairview Christian Church, a graduate of Willisburg High School and a former employee of Sol-Tech Insulation Company of Shelbyville. 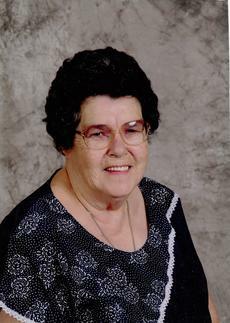 Willa Mae Hood Thompson, age 70, of Brush Grove Road, Willisburg, passed away at 11 a.m., Wednesday, Jan. 2, 2013 at her home. A native of Washington County, she was born on April 27, 1942 to the late Rev. Hobert and Ethel Pearl Lewis Hood. She was a member of the Willisburg Church of God where she was faithfully involved in the ministry of the church, a retired employee of Fruit of the Loom and was a contract cleaning employee of Whitaker Bank of Lexington.